There is an endless allure of Johor Bahru for Singaporeans. It is the easiest way to have a day trip 'overseas', to do a hair makeover for cheap, massages, most importantly... food!! There are so many scrumptious places to dine at great value... the only regret is not having enough stomach space. Even if you are a regular visitor to JB, there is bound to be a few that you haven't visited yet! 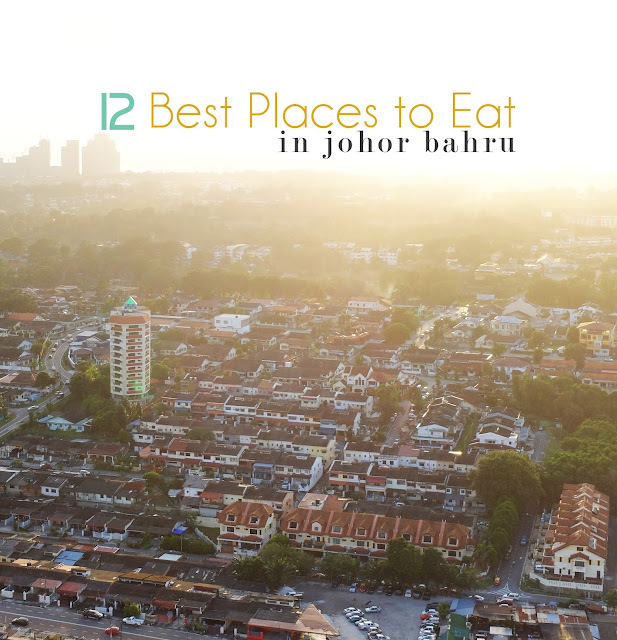 Here are 12 delicious reasons to visit Johor Bahru again next weekend - and don't ask "what to eat in JB"! There are three main ways to get around Johor for your foot trail! From the Causeway, you can access several popular dining areas on foot, including the restaurants in City Square Mall, the stretch along Jalan Wong Ah Fook and Jalan Trus. 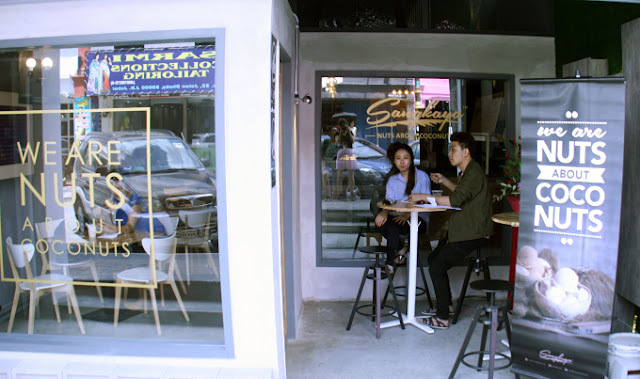 To get to the cafes and dessert places at Jalan Dhoby and Jalan Tan Hiok Nee, you will need to walk about 10 minutes and pass by the 'Little India' of Johor. 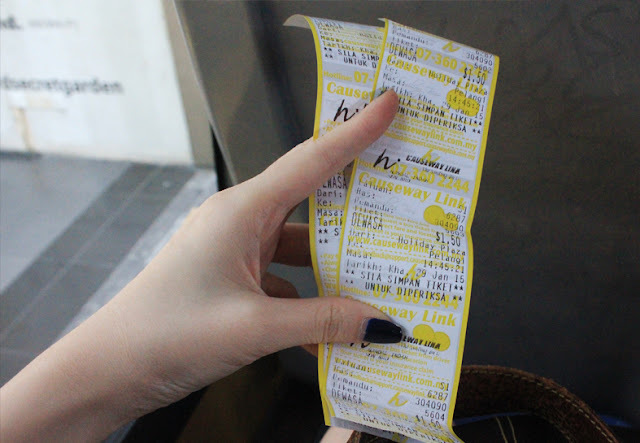 You can take buses at the interchange on the ground floor. Take the escalator right after you exit from the railway station. There are several buses that lead you to major landmarks including KSL, Pelangi Mall, Holiday Plaza and more. From there, you can walk to most of the restaurants located near these places. This is the most straightforward method. Many people may still have reservations on how safe taxis are in Johor. I have not met any problems with taxis yet. However, some cab drivers may try to take the further route to maximize the meter fare or suggest a lump sum for a short distance (most likely during peak periods). As a gauge, a smooth ride from City Square to KSL should be around RM7 by meter, and you should not accept more than RM15 for a 'lump sum' fare. This fancy and impressive fine-dining Brunch2Wine, helmed by award-winning head Malaysian chef, Chef Kelvin Lee. He has years of experience in many countries, including three Michelin restaurants in France. 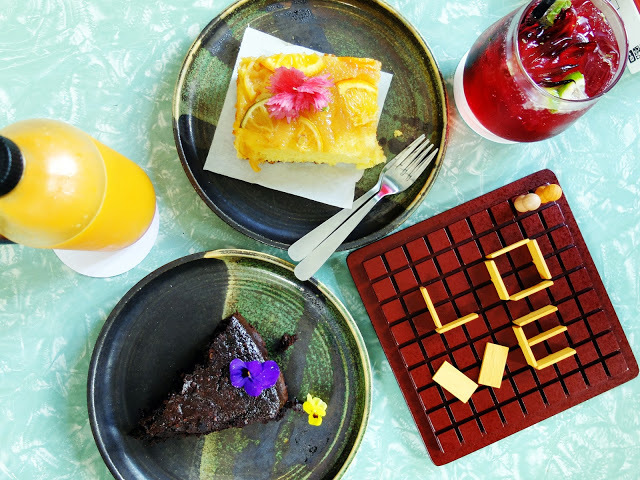 If you are not sure what to order here, you can opt for Brunch2Wine's daily set lunch meals priced between RM45++ (3-course) to RM60++ (4-course) per set. La Casa Blanca has undoubtedly the best-known Moroccan food in Johor. With classic Moroccan prints lining the walls and the fragrant wafts of tagine in the air, this restaurant has an endearing, homely atmosphere that make guests feel welcomed. Of course, when at Casa Blanca, you have to try their famous tagines stews. It comes in fish, seafood, lebanese green bean stew, beef, lamb, egg or cheese versions served in the earthern pots. We tried the beef tagine which was well-executed, infused in flavourful spices, cumin, prunes, dates, almonds, tomatoes, onions, and more other ingredients to make the delicious stew. It took some time before they managed to serve it, but it certainly didn't disappoint. Pair it with the moroccan tea. I had a childhood memory at Lavender Bakery (L.cafe) - this was where I had my first Americano coffee and one of the best cakes then. Lavender Bakery has since expanded to a second-storey contemporary Western restaurant, named L.table. I was surprised to see how elegantly done the décor is, with black panelling and dim lighting in the evening. Their Summer Salad with mustard dressing is one of the freshest and most refreshing I've had, with oranges and strawberries amidst lettuce greens. The Homemade Duck Confit with scalloped potatoes was tender and had a nice springy bite to it. With a team of dedicated chefs, comfort classics and gastronomic creations are thoughtfully prepared with balanced flavours in mind. The impressive range of menu spans across pastas, hot sandwiches, gourmet burgers, salads and brunch items, certainly something that you will love. "Best Chinese Restaurant Within 500m from Causeway"
One of several Chinese dining options within walking distance from City Square, Restoran Ya Wang is a locals' favourite place to dine at. The interior is pretty much the classic Malaysian Chinese restaurant, with white-tiled walls, brown tables and red plastic chairs neatly placed around. Regulars love visiting Restoran Ya Wang for many reasons, including its herbal roast duck, dang gui duck, minced meat tofu and steamed fish. "Best Yong Tau Foo Restaurant"
A well-known fishball noodle specialist of over two decades old, Ah Koong Fishball Restaurant is one of the staples for a food trail if you haven't already tried! Not just locals, but tourists head to Ah Koong Fishball Restaurant for their delicious fishballs made from wolfherring and fusilier fish sourced from Sabah and Indonesia. Their fish balls contain no preservatives, crispy and delicious. They serve yong tau foo, fish soup and porridge, fresh oyster soup, abalone soup, and laksa as well. When it comes to Italian restaraurants in Johor, two names come to mind: Rosmarino and Gianni. 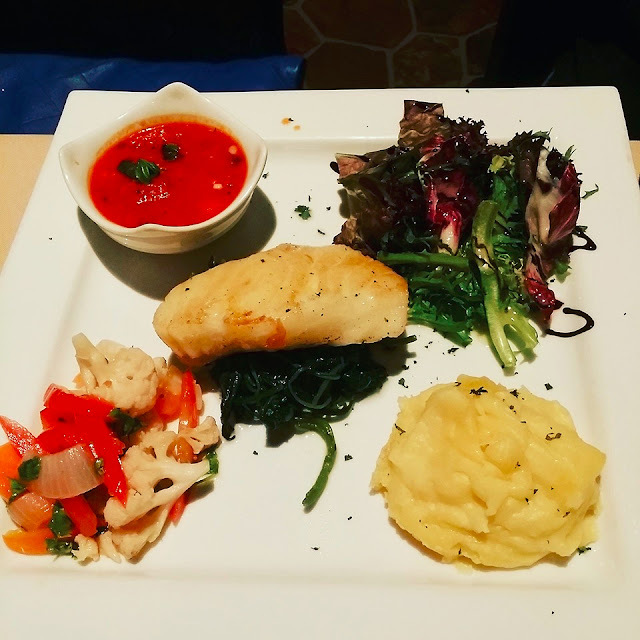 The latter has a menu with relatively expensive prices by most Johor restaurant standards while Rosmarino strikes a perfect balance between prices, taste, atmosphere and service. Their aglio olio and lobster pasta are not to be missed. 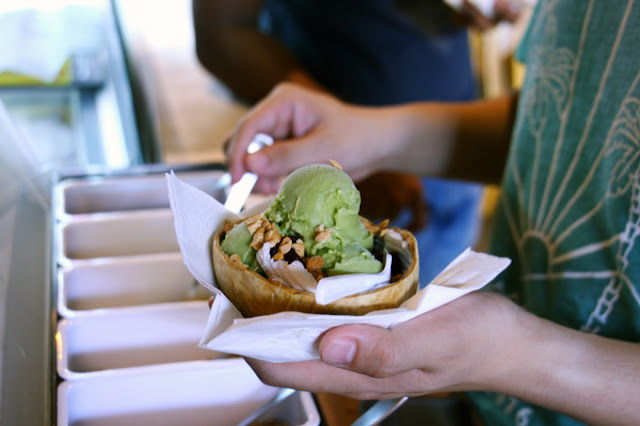 Sangkaya is right up my alley, with coconut ice-cream being central to this dessert parlour. We ordered two coconut waters, and a signature matcha ice-cream. Sprinkle the toppings yourself, they instructed. Is that a secret hint of 'put as much as you want'? I guess so... We got to choose from 7 options: coconut flakes, roasted peanuts, cereal, cornflakes, sweet corn, kidney beans, chocolate sauce. It was splendid. The artisanal ice-cream is the premium sort, even though it comes at such a lovely, reasonable price-tag, and I got 3 toppings while at it. With Hokkaido matcha, coconut and now even watermelon flavours, the softserves at Koone is not only photogenic with its smoky auras but also refreshing to taste. Koone's soft serve is of premium quality, creamy and enjoyable despite its affordable price tag. Don't be fooled by the large cup though, the cup holding the soft serve is actually much shallower than that as there is dry ice inside the exterior cup. This two-storey café Flowers in the Window has a quaint floral-themed façade is unafraid to be over-the-top. Their floral theme extends even to their seasonal homemade cakes and drinks menu. By the same team as Roost Juice Bar round the corner, it is almost impossible to not love this place! The star desserts on display are the chocolate beetroot cake and citrus syrup cake which caught our attention immediately. The chocolate beetroot cake has an interesting combination, the beetroot amazingly managed to intensify chocolate flavour even more. The citrus syrup cake was certainly less heavy, with an organic, strong orangey taste to it. From coldpressed fusion fruit juices to their flower-infused teas to coffees, all of which had a premium quality to it. Bev C has a charming vibe to it, first with its enigmatic visual illusory signboard and then the little hideout upstairs. It does feel like I could spend the whole day there, with a book and just overlooking Jalan Tan Hiok Nee to people-watch. 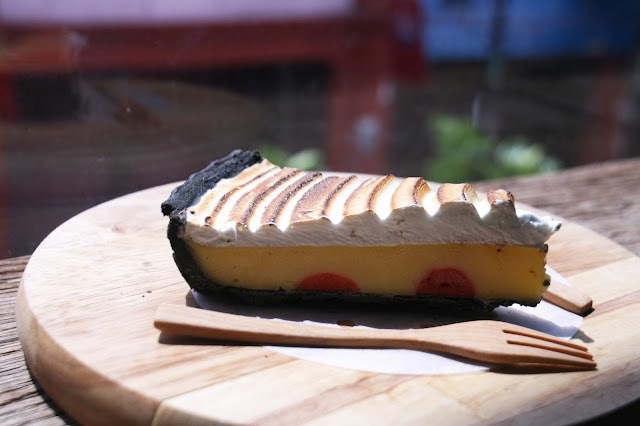 Some of the best cakes around Bev C include their famous Chocolate Mint Pie, the all-new Gula Malacca Banana Pie, and the interesting Spicy Sunfruit Pie. Their handcrafted beverages include espresso ice-cubes with caramel and milk. Operating since 1919, Hiap Joo Bakery & Biscuit 协裕 still uses the wood-fired traditional method to bake their banana cakes. A family-run business, their banana cakes are mildly sweet and extremely fragrant, moist, and definitely deserves a mention. Going to LEGOLAND in Johor Bahru? 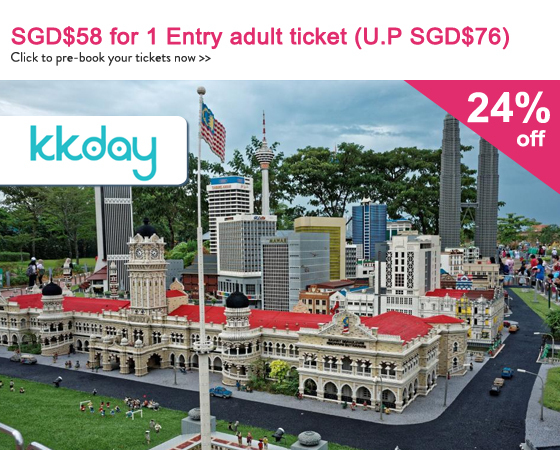 Don't buy tickets at the original price (RM225 / SGD76), do it with KKday and get 24% off! This fancy seaside wine bar and restaurant is located on a hill, with a romantic alfresco garden setting. It looks like the perfect setting for a dreamy garden wedding. At night, lights blink from the edges with a warm soothing glow. Despite how it is quite secluded, this restaurant fills up quite fast with other diners. I had the Fungus Mixed Mushrooms which I found to be quite tasty with foam and salad on the side. It was a bit one-dimensional after a while and felt more like a side dish. The Gourmet 'Hen' (RM58) comes served with a lovely smoking presentation, roasted chicken, gnocchi, baby vegetables and jus natural. The service here is impeccable, leaving a deep impression as they went out of their way to help us flag a cab after our meal. It was really difficult to flag a cab outside because Eight at Lido Hill is located along a highway. See Eight at Lido Hill's full menu here. Drinks: 1500 - 0100, daily. Dinner: 1800 - 0000, daily. Brunch: 0900 - 1500, weekends. I am a Singaporean living in JB and I can vouch that most of the places you recommend are very good. Except for Koone (I never tried) and Hiap Joo. Their banana cakes are too dry. Great job. By the way 8 lido closed because could not operate in a bungalow. They did not have the valid license and it has nothing to do with the food. They serve fantastic food coupled with great ambience. 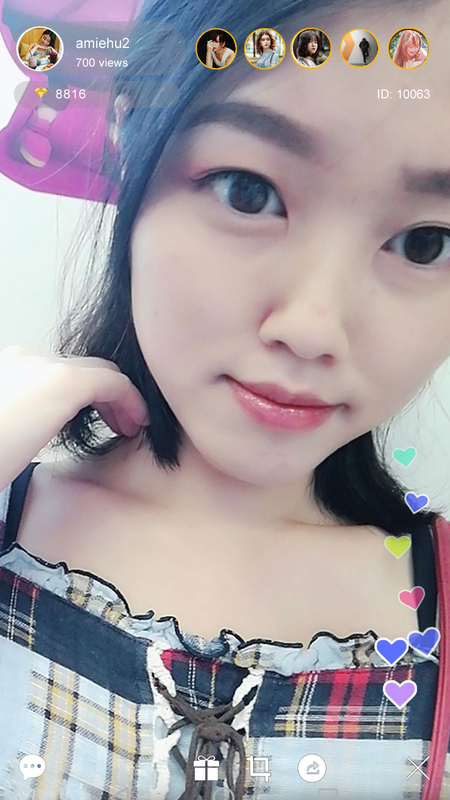 Hey whenever im reading food blogs about JB either they are talking about Sea foods or bakery Items,like yours and this https://www.johortransport.com/seafood-restaurants-johor-bahru/ as a chicken lover i'm curious to know can i find chicken in JB? if yes is it available normally or difficult to find? Great post! 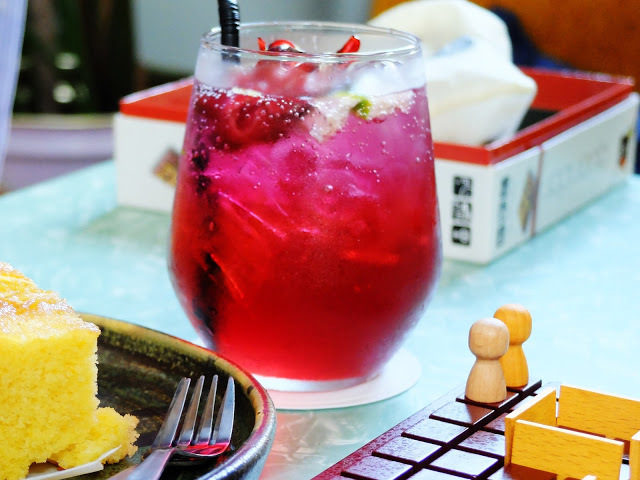 Do check out our post on Where to eat in Johor Bahru as well! Happy Travels (and Foodieing) Everyone!